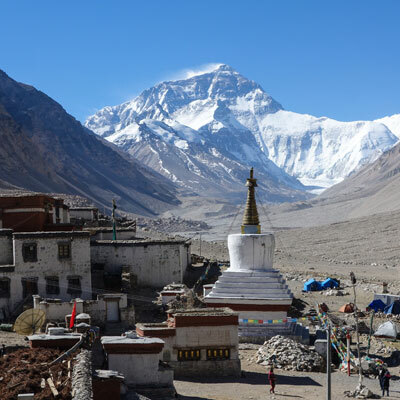 Lhasa Ganden Sayme Everest tour provides an opportunity to explore the culture and natural heritage of Tibetan feature with stunning mountain vistas, dramatic high passes, Nomadic Tibetan feature and grazing with the herd of Yaks and sheep. 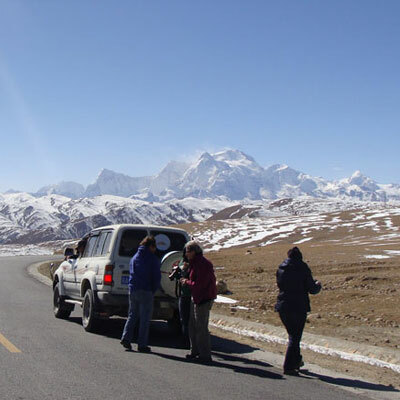 Lhasa Ganden Sayme Everest tour begins with a scenic flight from Kathmandu to Lhasa over Mt. Everest. 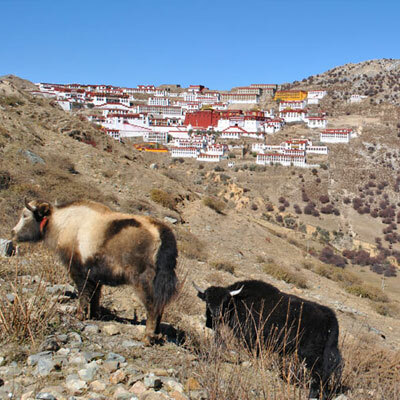 Warm reception by Tibetan guide and explore the beautiful roof of the world including legendary Potala palace and Sera and Drepung monastery and drive to Ganden Monastery. 45 km east of Lhasa, Ganden Monastery was first built in 1409, the 7 year during the reign of Emperor Yong Le of Ming Dynasty (1368-1644). 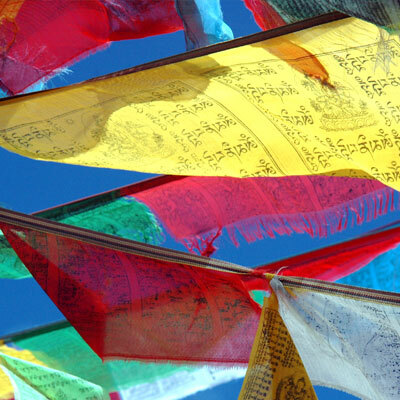 On our Lhasa Ganden Sayme Everest tour we further drive to Sayme monastery and Tsedang. After exploring these historical and ancient towns we continue our journey to Gyantse, Shigatse then finally to Rungbuk Monastery. An amazing hike to Everest base camp for a Majestic view of Mt. Everest will be an unforgettable memory of the trip. We drive down to Zhangmu via Nyalam pass. We will farewell our Tibetan crew at the border and cross the Friendship Bridge and drive a scenic 5 hour to Kathmandu, the capital city of Nepal. Day 01: Arrive To Gongar Airport. Day 02/03: Sightseeing in Lhasa. Day 04: Lhasa to Ganden Monastery at 4500 Meters. Day 05: Drive to Samye and Tsedang. Day 06: Excursions of Yarlung valley. Day 07: Drive to Gyantse (3800m/190 kms / 5-6 hrs). Day 09: Drive to Rongbuk (4920m/60kms/3 hrs). Day 10: Drive Rongbuk to Nayalam (3750m/310kms/3 hrs). Day 11: Drive to Kathmandu, (1350m/125kms) 6-7hrs. Note: If you wish to join this trip in Kathmandu you have to arrive 2 days prior to trip departure dates (But you need to provide us copy of your passport at least 25 days before the trip departure). 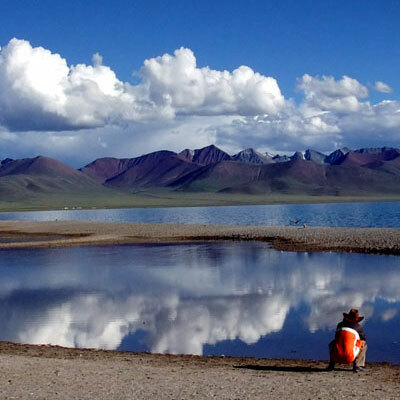 Or if you wish to start in Lhasa, you can arrive Lhasa on the date mentioned above or earlier. Meet our guide then Transfer to Lhasa, Check in to Hotel. 95 kms one hrs drive. Guided tour of Potala, the Winter Palace of Dalai Lama, Jokhang Temple and Barkhor Market,Drepung, biggest Monastic University of Tibet. Norbulinka Palace, the Summer Palace & Sera Gompa. After Breakfast, drive 45 Kms to Ganden Monastery, rest of time acclimatization. Overnight at guest house. Drive to Samey Monastery, visit monastery then drive to Tsedang 3500 meters. Overnight at guest house. After Breakfast, drive to tombs of Tibetan King's located in the choynge country, includes tombs from 29th to 40th Tsenpo, and their minister and imperial and concubines In the afternoon, we visit YAMBHU Laganag Temple, TRADUK temple and other ancient Monasteries. Overnight at guest house. Today we drive over crossing several high passes The KAMBA LA Pass (4794m.) & KARO LA (5010m.) 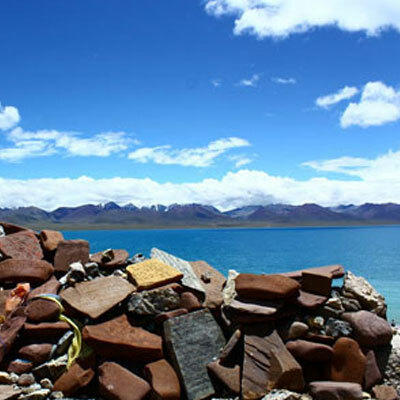 PASS , The Lake Yamdrok- Tso en route enjoy the Karola Glacier, You can see place where film Red River Valley was shot you can see in the distance the Dzong of Red fort where Tibetan fought bloody battle with British invaders 1904 with Palcho Monastery with 100000 Buddha Pagoda. Day 08: Drive to Shegar (3900m/344kms/6-7hrs) via Shigatse. In Shigatse we Visit the Tashilhunpo Monastery, Tibetan free Market. Overnight at guest house in Shegar. Today we drive over rocky terrain on to the Rongbuk enjoying views of Everest, Beautiful rocky landscapes and other numerous mountains. Overnight at guest house. Day 10: Drive Rongbuk to Nayalam (3650m/310kms/3 hrs). Am we will trek to Everest base Camp, retreat to Rongbuk, we drive to Nyalam in the afternoon. Overnight at guest house. Drive Downhill to Zhangmu, after completing immigration formalities, scenic drive to Kathmandu. This drive offers entirely different views than Tibet, lust forest, terraced rice field, green vegetation and scattered ethnical villages. Our Nepal guide picks you up at Kodari border then drive to Kathmandu. In the evening join the farewell dinner organized by Alpine Eco Trek & Expedition. Our website contains as much information as possible about Lhasa Ganden Sayme Everest tour. However, if you have any questions regarding trip, please feel free to contact us. We answer all enquiries within 24 hours. If you want to book a trip, you can send us an email or contact us directly by phone: 0977 98510 36844 (Ram Kumar Adhikari).